Today, Google announced Google Fiber for Kansas City. Google Fiber is the “journey to bring ultra-high speed Internet to Kansas City.” With 1Gbps up/down data speeds, which is over 100 times faster than America’s average broadband connection, Google is setting out to re-shape what we think of the Internet and TV as a whole. Google also introduced an entire line of hardware that will work specifically with the service, including a network box, storage box, and even a TV box. From now on, buyers will be using Google for all of their Internet and TV needs. 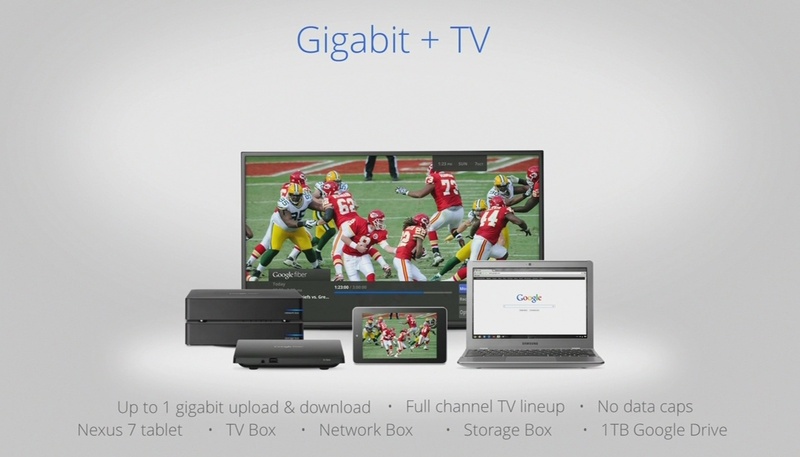 Gigabit + TV: $120/month – Sign up for a 2 year contract which then waives the $300 construction fee. 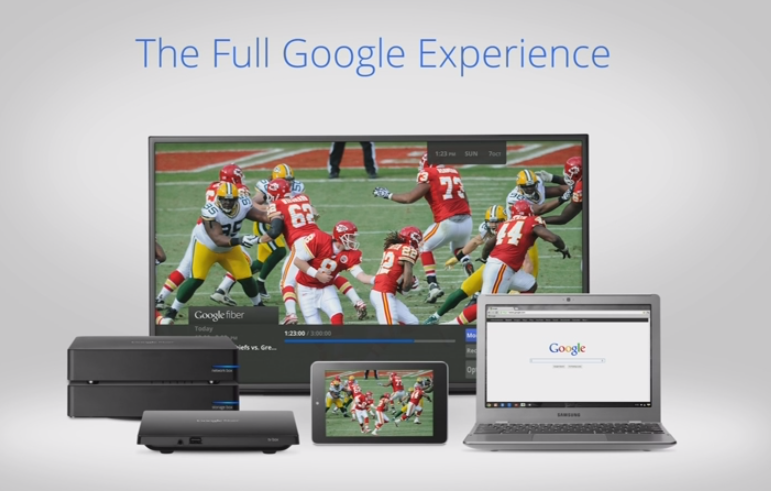 Package includes 1Gbps up and down connectivity, full TV channel lineup (HD), no data caps, a Nexus 7 tablet to act as a remote, TV Box, Network Box, Storage Box, and 1TB of Google Driver storage space. 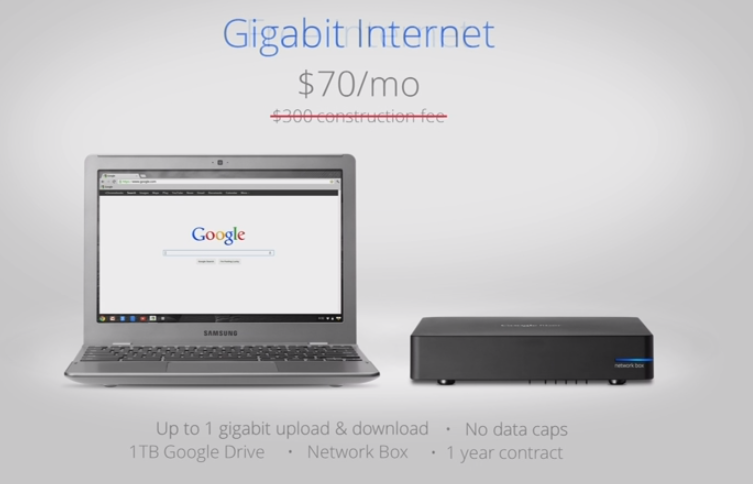 Gigabit + Internet: $70/month – With 1 year contract agreement, the $300 construction fee is waived. Included in the package is 1Gbps up and down connectivity, the Network Box, and 1TB of Google Drive storage space. We know that not everyone is ready to commit to a gig just yet. But we want to make sure you have the opportunity to upgrade when you’re ready. So if you pre-register and your fiberhood gets installed, you’ll have the option to get a 5 megabit per second (Mbps) connection for zero monthly charge, and your home will be wired and ready for the switch. The Free Internet option will cost $0 per month, although you will have to pay a $300 construction fee (which can either be paid at once, or in $25 monthly installments). As for everyone else who does not live in KC, Google did not hint at any other cities that will see Google Fiber anytime soon. During the announcment, they kept mentioning how long the process was and how much work it took, so it could be many years before we see any type of country-wide access. Lucky enough to live in Kansas City and witness the birth of Fiber? Register for Google Fiber here.